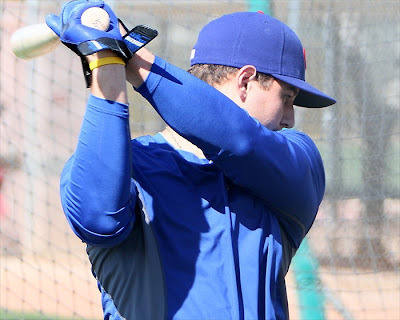 The Cubs new leadership made a trade in early January for a player they hope will soon be a cornerstone in building the Cubs to a contender with World Series aspirations. 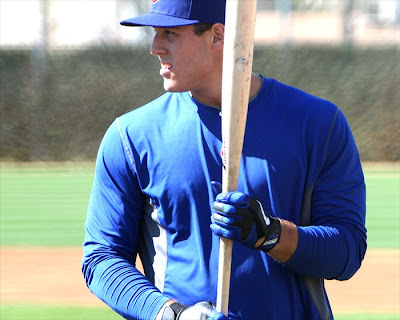 That player is broad shouldered 22 year old first baseman Anthony Vincent Rizzo who came to the Cubs from the Padres along with minor league pitcher Zach Cates in exchange for hard throwing Andrew Cashner and minor league outfielder Kyung-Min Na. The Cubs expect Bryan LaHair to be the starting first baseman this season but LaHair is 29 years old with only 195 MLB at bats under his belt. 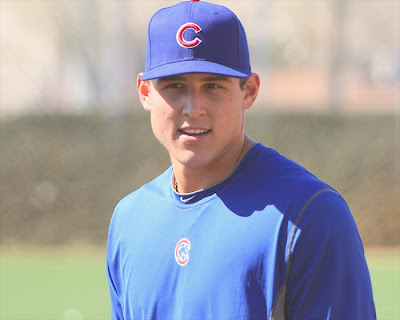 He did a nice job for the Cubs when called up last season but age is not in his favor. 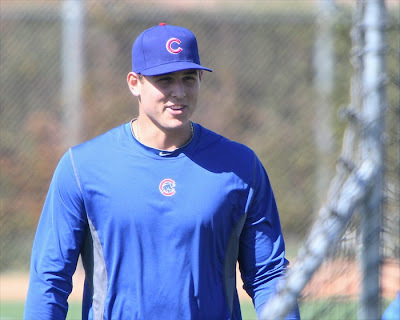 The Cubs are rebuilding, oops I mean building with youth, and the plan is for the 6’3″ 225 pound Rizzo to start the season in Triple-A. However a big spring in AZ could change that plan for the Cubs and their young first base prodigy. 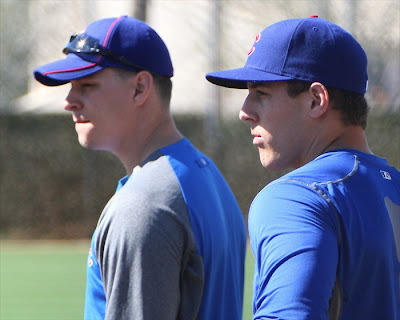 With the recent off-season trades and maneuvers plus some talent in the minor leagues the Cubs appear to have an interesting team building over the next couple years. So here is new arrival Anthony Rizzo at Fitch Park today, he just looks right in Cubs blue. Campana and Rizzo – This one just begs for a caption! 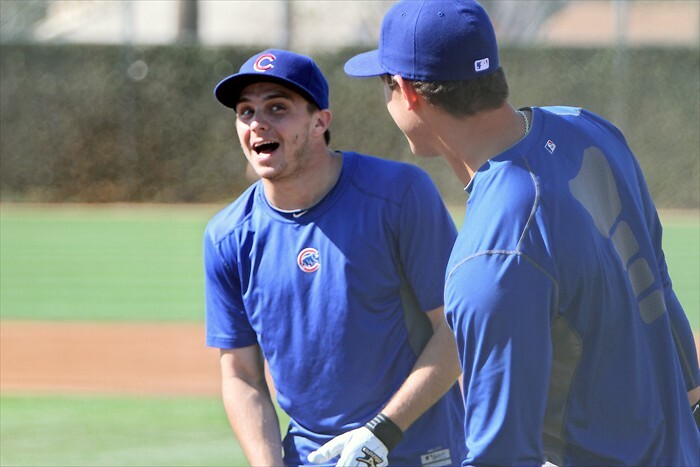 Put your caption in the comments and we’ll give a prize to the best two captions. Please keep it clean.